Join us Friday, January 11, 2019 for the 16th Annual Friends of Community Field Winter Banquet. 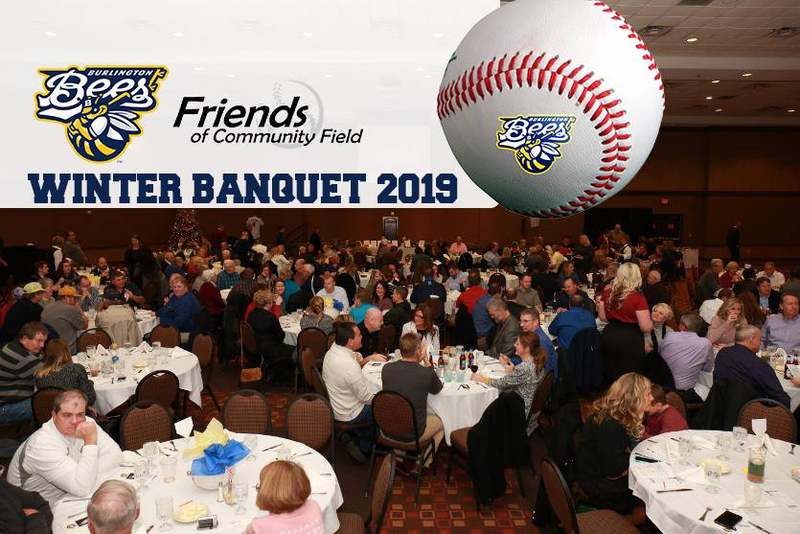 The Winter Banquet is a great event for Bees' fans to gather together in the off-season, enjoy an outstanding dinner, listen to some great baseball stories, and bid on some neat memorabilia and merchandise. The featured speaker will be Rick Matthew a scout for the Colorado Rockies. Sponsorship tables of 8 are available for $500 and tickets for individuals are $65.